40 years with kidney transplant - "The Lord was in it"
Wake Forest Baptist physicians are referring to Jack Young as a "medical miracle." A kidney transplant usually lasts about 10 years, but Jack will celebrate the 40th anniversary of his kidney transplant this coming Friday, June 3rd. He is believed to be one of the longest living kidney recipients in the U.S.
Sharon Parson, Jack's sister, was his donor. She was nearly a perfect match and only 25 years old when she saved her brother's life. At the time of Jack's transplant, she felt like her recovery from her surgery was actually tougher than Jack's recovery from his transplant. However, such surgeries have changed a lot since that day 40 years ago. Her donation ended the 8-hour, twice a week dialysis ordeal that Jack was undergoing. After his transplant, Jack was unable to play competitive sports again, so he took up hiking, art, traveling, and horseback riding. When asked about Jack's transplant, Sharon said she's convinced that "... the Lord was in it" because Jack's life changed, and he touched many, many people. She feels like Jack has gotten the most out of his "second chance" and that the discomfort and pain she went through were well worth it. Today, there are over 110,000 Americans who currently need a similar "second chance." In fact, about 75-80% of them need a kidney and will wait an average of 3 long years for it. The saddest part is that many of them will die before getting one. 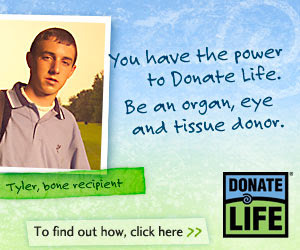 You can make a difference and save lives by registering to be an organ and tissue donor. 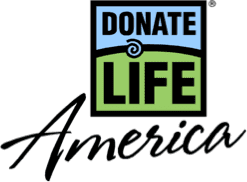 Please visit the Donate Life America website by clicking here or on the banner above for more information and to learn how to register as a donor in the state where you live. Today is a special day in which we Americans honor our military men and women. We honor those who have given all in making the ultimate sacrifice defending our freedoms and our way of life. However, we should not only honor them but their families, too. Many of you have been following my Music Mondays this month which have all had something in common - the music of Queensryche (pronounced Queens-rike) from their 1990 album Empire. Today's post highlighting the band's song "Best I Can" (click here to watch) concludes that series. The lyrics talk about fighting through adversity and never giving up. The song's about having perseverance and working hard in order to turn tragedy into triumph to be the best man, or woman, that you can. I think it's a perfect song for honoring those American men and women who have fallen protecting us. 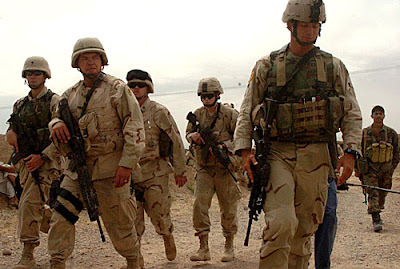 U.S. military personnel come from various backgrounds. Some are wealthy, some middle class, and some poor. They come from different ethnic groups and different family backgrounds. However, they do not join the military to get rich or for the benefits. They are all volunteers who join and serve because they love their country and their freedom and want to protect it for their families and ours. My wife and I have been watching a show on Lifetime called "Coming Home." It's usually on at 10 PM EDT / 9 PM CDT on Sunday nights. Each week it shows reunions of soldiers and their families after tours of duty in Iraq and Afghanistan. It's an hour long program that will touch your heart each week. It may even generate a tear or two. If it doesn't, then there is something seriously wrong with you. The things that get to me the most are the kids talking about missing mom or dad and spouses who worry about whether their mate will come home. I encourage you to check it out because it will give you an even greater appreciation for our military and their families. I dedicate today's Music Monday to the thousands of U.S. military personnel who have given their lives since the founding of our country. They have fought and died for us without regard for their own safety. They've represented everything that is good about America. They've showed us what being the best men and women we can is really about. 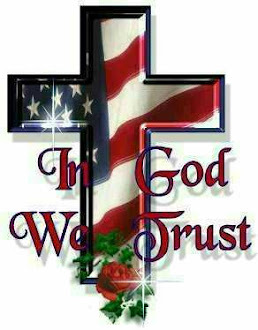 On behalf of Americans everywhere, The Sheepdog thanks all those who have fought and died for us and their families. 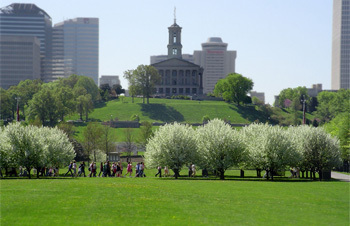 The 107th Tennessee General Assembly concluded it's 2011 session last week. It was an interesting session, to say the least. They argued over Tennessee's version of a "Birther Bill," wine in grocery stores, the budget, taxes, illegal immigration, and other stuff. It my opinion, it was a case of the good, the bad, and the ugly. Today's post is a brief review of the session. SB 257 / HB 1822 - The DNA and Genetic Testing bill - the bill was sponsored by Lt. Gov. Ron Ramsey and would have required a DNA sample to be taken from anyone arrested for a felony charge - NOT convicted, just arrested. I was extremely surprised that Ramsey would even suggest such a bill. 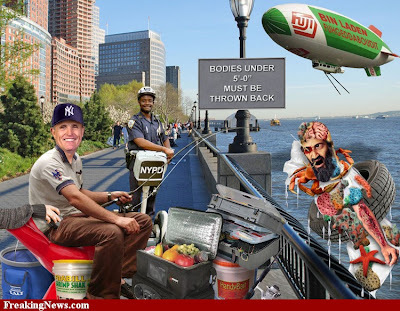 It amounted to allowing unreasonable searches and seizures. Fortunately, Ramsey received a lot of heat over the bill and it went away quietly. HB 910 / SB 785 - "The Animal Fighting Enforcement Act" - I referred to this bill as "The Michael Vick Act." I thought this bill was a waste of time this session because Tennessee has much bigger problems that the legislature should have been dealing with. Fortunately, it was voted down in subcommittee and went away. HB 1112 / SB 1568 - "The White-tailed Deer Breeding and Farming Act" - In my opinion, this was the "silliest" bill of the year. If passed, the state would have been in the deer-breeding regulating business. The deer are doing quite well on their own. There's thousands upon thousands of them in Tennessee. Once again, Tennessee's got bigger fish to fry. This bill was taken off notice and went away. HB 427 / SB 418 and HB 428 / SB 416 - these bills would have required state agencies to report to the Government Operations Committee whenever they fine one of their licensees more than $1000 or suspend one for more than seven days. It would also have set up another committee to evaluate the appropriateness of such fines or suspensions. My problem with the bill is that it created more bureaucracy. Plus, the legislature should stay out of such situations and let each agency police it's licensees. This "bureaucracy bill" was taken off notice and went away. HB 153 / SB 74 - Bill's passage would have forbidden children under five years of age from riding on a motorcycle. I understand the safety concern behind the bill. However, let parents be responsible for their kids, not the state. This nanny state bill died a slow death. It was sent to a "Summer Study Committee." HB 1537 / SB 1503 - This was another nutty bill. It would have required pharmacists to counsel with and basically "profile" any customer purchasing a decongestant to evaluate whether they intended to use the medication for methamphetamine production. Pharmacists would have been expected to be law enforcement. The bill was also taken off notice. Bye, Bye. Now, let's take a look at some of the bills considered and acted upon by Tennessee's 107th General Assembly. HB 1378 / SB 1669 by Rep. Joe Carr (R) and Sen. Jim Tracy (R) - The bill is also known as "The Tennessee Lawful Employment Act" and will require Tennessee employers to enroll in and actively participate in the E-Verify program administered by the U.S. Department of Homeland Security. They must do so by October 1, 2011. Basically, it requires employers to verify the immigration status of each employee. For new employees, employers must check their status within 14 days from the time employment begins. The bill's goal is to help combat illegal immigration. HB 324 / SB 352 by Rep. Curry Todd (R) and Sen. Mark Norris (R) - The bill could also be called "The Voter Photo I.D. Bill" and requires that a person show proof of citizenship when registering to vote. It also requires the coordinator of elections to compare the statewide voter rolls with the department of safety database as a way of identifying voters who may not be U.S. citizens. The goal of the bill is simple - keep illegal aliens from voting. 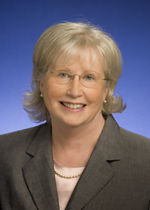 SJR 127 by Sen. Mae Beavers (R) is a joint resolution by the legislature proposing a state constitutional amendment protecting the lives of the unborn. Specifically, the resolution states that "... nothing in the Constitution of Tennessee secures or protects right to abortion or requires the funding of an abortion." I am often one of Sen. Beavers biggest critics. However, when it comes to the sanctity of human life, we agree 100% of the time. We both believe that all human life is precious and that the unborn must be protected because they cannot speak for themselves. Sen. Beavers has long been a defender of the unborn and for that I salute her. Well done Senator. HB 1141 / SB 261 by Rep. Cameron Sexton (R) and Lt. Gov. Ron Ramsey - The bill raised the exemption limits on the Hall Income Tax. The tax is paid on dividends received from corporations based outside Tennessee and non-bank interest. The exemption was raised for taxpayers over 65 years of age to $26,200 for single filers and $37,000 for married couples filing jointly. It takes effect January 1, 2012. In other words the first $26,200 of such income isn't taxed for single filers nor the first $37,000 for couples. The Sheepdog likes tax cuts and this one has been needed for a long time. This bill will encourage retirees to move to Tennessee. HB 130 / SB 113 by Rep. Debra Maggart and Sen. Jack Johnson - Many referred to this bill as "The Anti-Collective Bargaining Bill." It ended collective bargaining for teachers unions. Most of my life, my opinion of unions has been rather neutral. I didn't really support them, but I wasn't really opposed to them either. However, some of the behavior I've seen from unions in the past few years, particularly the union bosses, has completely turned me off on them. There was a time when unions were needed to facilitate good working conditions and good benefits. Nowadays, there are adequate labor laws to protect employees, so I'm not really sure unions are even needed. Plus, I feel that unions take away individual liberty. The "collective" is about what's good for the whole and prevents an individual from doing what's best for them or their family. Good and bad employees get the same pay and benefits, and it's often difficult to get rid of a bad employee or reward a good one. Sheepdog's analysis of bill : Some feel that the state legislature has spent the last two years attacking teachers. However, proponents of this bill claim it will be good for education. I think the jury is gonna be out on it's effect on education for quite a while. I don't think that simply busting teachers unions is gonna improve the education system of this state. I believe the state legislature has really missed an opportunity in the last two years in regards to education. Last year, they initiated "The Race to the Top" Program. It required student test scores to have a larger weight in teachers' evaluations. That's simply not fair. Teachers only have a student for 8-9 hours a day. That's all they should be responsible for. Parents / guardians are responsible for the kids the other 15-16 hours. Many kids come to school from a bad home life. They may be poor, hungry, abused, be in turmoil at home, or come from a broken home. I've heard teachers say that they need parents to get more involved, because sometimes they feel like babysitters instead of teachers. All of these things can effect a kid's motivation to learn and whether or not they can be taught effectively. No politician will say anything remotely like what I just did, because it would be political suicide. The state can change all the rules and regulations it wants, throwing millions of dollars at education, but until parents / guardians and other family members get more involved in the educational process, nothing will change. Teachers, principals, school administrators, and school systems can't do it all. It takes a team working together, including parents / guardians, teachers, principals, etc., to assure a child gets a good, quality education. HB 283 / SB 519 by Rep. Vance Dennis (R) and Sen. Mike Bell (R) - This bill was referred to as "The Employer Parking Lot Bill." Concealed carry permit holders had been anxiously awaiting for this bill to become law for years. Originally, it was meant to protect employees who carried a handgun in their vehicle for personal protection while commuting back and forth to work. If your employer had a no-guns policy, the bill would prevent them from firing you or taking other disciplinary action if they searched your car and found your firearm. The key was that if the property was posted, you HAD to leave your gun in your car. It would allow employees the freedom to protect themselves during their commute to work, but at the same time, it would also protect the employer's property rights. However, due to some political maneuvering, the bill was completely changed from being a bill about protecting individual freedom. The bill that passed only protected the employers. It only says than an "... employer permitting a person with a handgun carry permit to carry a handgun on the employer's property does not constitute an occupational health and safety hazard to the employees." The politicians in the state legislature were too busy helping their big business buddies "CYA" on this bill. They sold out Tennessee's gun owners. The original 2011 methamphethamine tracking bill was SB 325 / HB 234 by Sen. Mae Beavers (R) (at right) and Rep. Debra Maggart (R). This bill was one of the ones I highlighted in my "big gubmint" Republicans post mentioned earlier. In my opinion, this was the worst, big government, nanny state bill of the session. It implemented a requirement that pharmacists must enter all over-the-counter decongestant purchases into a national electronic database. It went nowhere, at first, due to significant opposition. Then, the bill came back as SB 1265 / HB 1051 with a significant difference - it would make a parent or guardian guilty of child endangerment if they knowingly exposed a child less than 8-years old to the methamphethamine manufacturing process. What's significant about that ? With that stipulation in the bill, supporters can claim, "It's to protect the children." Once they play that card, the debate's over because if you express opposition, they'll ask, "Why do you hate children so much ?" No politician wants to be stuck with that label. It's political suicide. Saul Alinsky would be proud of such maneuvering on this bill. After all, he wrote the book on it. However, it's a bogus argument and totally irrelevant. The bill was about more big government control and regulation. Someone in the General Assembly should have had the "cojones" to fight it. I praised Sen. Beavers earlier, but she, as the sponsor, blew it on this one. The Tennessee legislature doesn't understand that such registration databases do NOT prevent crime. Criminals will find a way around them. These type registration schemes only punish and hassle law abiding citizens and result in an invasion of privacy. No federal database of "whatever" has any business knowing how much decongestant the average citizen purchases. One individual that I talked to who spends a lot of time on capitol hill claimed "they had to do something and it was the best they could get." Isn't that the same argument that was used for TARP, the car company bailout, and the $787 Billion stimulus bill ? They all had one thing in common - they failed. This bill will, too. Sheepdog's analysis of bill : If I had been the Tennessee legislature wanting to combat meth, I would have done something different. I would have significantly stiffened the penalties for meth production. It would mean longer jail sentences, stiffer fines, and I'd go after their property, too. For instance, I would allow law enforcement agencies to use meth raids as fundraising activities. During a meth raid, I would allow law enforcement to seize the property where they find meth being manufactured, stored, or sold. After the suspect is convicted, the property is sold at auction. The minimum bid would be set at whatever the cleanup costs were to make the seized property inhabitable. Local law enforcement would first be reimbursed for those expenses, and then any excess auction proceeds go into the coffers of that agency to provide for needed equipment and personnel. Any bank accounts and / or cash would also be subject to seizure. After a few meth dealers lose their property, the word will get out and the dealers will look for some other kind of work or leave Tennessee. Problem solved. Punish the dealers, not Tennessee's law abiding citizens. The Tennessee General Assembly's 2011 Session could be referred to as "what could have been." When Republicans won a larger majority in the legislature plus the governor's office in 2010, they said their focus would be on decreasing the size of government, improving education, and making it easier for businesses to create jobs. They really didn't do any of that. I would suggest they get their priorities back on those three things when the 2012 session opens next January, or they may see their majority shrink in November of 2012. The "Circle of Light" photography exhibit is now on display at Pueblo Community College through June 16th. Some might say, "Big deal. It just a bunch of pictures." However, this "bunch of pictures" is special. All the photographs were taken by people who were blind before they received a cornea transplant. The exhibit is free, open 8 a.m. to 3 p.m. Monday through Friday in the San Juan Gallery at the college, and made possible by the Rocky Mountain Lions Eye Bank. The neat thing about tissue donation is that nearly everyone can be a tissue donor. Unfortunately, that's not the case for organ donation. To be an organ donor, an individual must suffer brain death, but only 2 or 3% of us die that way. Tissue donation has no such requirement. Plus, one tissue donor can help as many as 50 people by donating corneas, bone, ligaments, skin, heart valves, and other tissues. It can give someone their quality of life back. Just ask the folks who took the pictures in this wonderful exhibit. If you have not registered as an organ and tissue donor, I encourage you to visit the Donate Life America website (click here) today. There you can learn how to register in the state where you live and one day make a difference in someone's life. Arizona hospital first to offer ALL transplants !! cellular transplants to treat diabetes. UMC's goal is to become one of the premier transplant centers in the country leading research and development into new and improved transplant techniques. In addition, UMC is conducting research into new, alternative treatments to help bridge the gap between the number of patients needing life-saving transplants and the current shortage of organ donors. For more information about UMC, please visit their website, azumc.com, by clicking here. Today is week 4 in May's Music Monday's featuring the band Queensryche (pronounced Queens-rike). We'll look at the song "Anybody Listening ?" The song is on the band's 1990 album Empire and is one of the band's songs with a message or theme. I want to encourage everyone to watch the video, carefully listen to, and even read the song's lyrics. I believe they are very relevant to today. Many things are going on in our world. The pundits and experts continue to tell us we need to be paying attention to what's going. Some say we're trouble. Some say we're not. Who do we believe ? The song asks if we're just accepting what our leaders, the media, and others are telling us. Or, in the words of Glenn Beck, are we "doing our own homework" and verifying what we are told ? Are we thinking for ourselves and reading between the lines ? Worse yet, are we allowing ourselves to just be spoon fed as we watch the things we value slip away ? These are all questions we have to answer individually. I want to encourage you to spend some time with this song today, think about what it's saying, and truthfully answer the questions above. Then, if you discover you need to make some changes, do so. It could change you for the better. We will wrap this series up next Monday on Memorial Day. 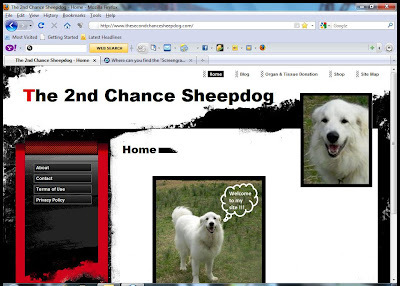 New, improved www.The2ndChanceSheepdog.com now live !!! After several weeks of work, and a few delays, I am pleased to announce that the website revision is complete. The new, improved www.TheSecondChanceSheepdog.com is now up and live !! It has a new design, new layout, new graphics, more transplant advocacy, and less politics than the old website. It will serve to compliment my blog and provide a larger presence on the web. So, what are you waiting for. Put your "paw" on your mouse and click on over there. Give it a look, have a "howling" good time, and leave a comment on this post letting me know what you think. You can get there by clicking on the link above or the screenshot. Visit it now and often and tell your friends and family. Psssst ..... one other thing. Be on the lookout for Wolves. They're are not gonna like the site very much. Image by osde8info via FlickrI ran across the below article (see for screen shots) on Guns.com a few weeks ago. If you're a gun enthusiast and video game junkie, it might be worth checking out. The game is called "Reload" and it offers target shooting as well as realistic self-defense and other tactical situations. There are different stages and skill levels. "Reload" even offers your choice of realistic firearms to choose from, such as the Desert Eagle and a host of different Remingtons. The game is currently available for the iPhone and will be released for Android phones soon. The price is only about three bucks, so it's worth a look. Just be careful where you play it at. You don't want to offend any anti-gunners. Or, ....... do you ?? After my heart transplant in 2007, I participated in the U.S. 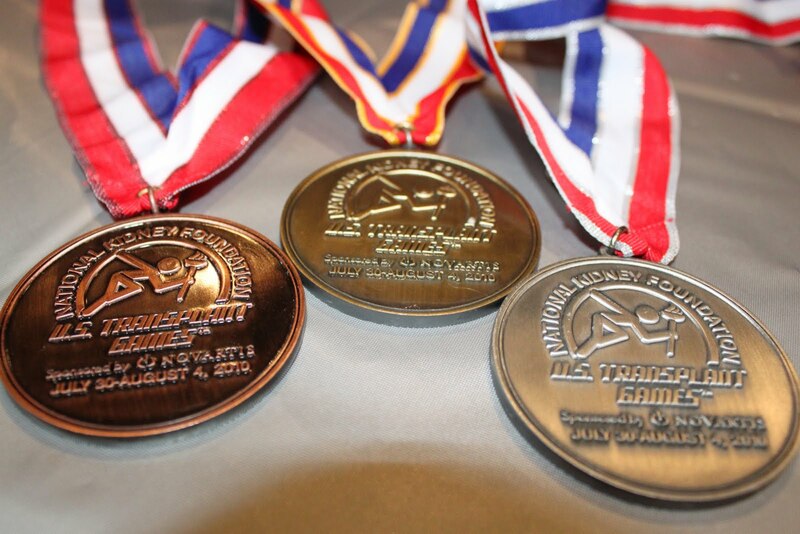 Transplant Games in both 2008 (Pittsburgh, PA) and 2010 (Madison, WI). Last Friday, the National Kidney Foundation (NKF) sent out the e-mail below to games participants stating that The Games will not be held in 2012. “We want to thank the thousands of transplant athletes, living donors, donor families, medical professionals, supportive family members and volunteers who have worked so hard to make the NKF U.S. Transplant Games so successful over the years,” says NKF Senior Vice President for Programs Gigi Politoski. NKF will continue to direct its resources to helping ensure that every American who needs a transplant receives one. NKF’s far-reaching END THE WAIT! initiative offers a comprehensive action plan to address the shortage of available kidneys for transplant and to end the wait for those on the list by instituting best practices across the country and eliminating barriers to organ donation. In addition to END THE WAIT!, NKF will continue to offer print and on-line publications and other resources for transplant recipients, donor families and living donors. A full range of educational materials can be found on the NKF website – www.kidney.org. Perspective living donors, transplant recipients, and donor families can also access the NKF Cares patient information help line. For complete information about donation and transplantation please visit www.kidney.org/transplantation/. To participate in NKF’s on-going programs and services, click here. My friends and family know that I'm not one to mince words. I generally speak my mind and call it like I see it. So, I'm not gonna hold back on this "announcement" either even though the NKF is a great organization which provides needed, beneficial services for a lot of people. I felt that the e-mail was rather tacky and insensitive. I was appalled by the statement by NKF CEO John Davis that a transplant has become "... almost routine surgery." Apparently he has not had a transplant. If he had, he would understand why thousands of us transplant recipients can testify to the fact that it's anything but "routine." Perhaps he should try it sometime to see for himself how "routine" it is. It's not a walk in the park. Furthermore, if transplantation is so "routine," why do approximately 19 Americans still die every single day because the right donor match doesn't come in time ? Does that sound "routine" to you ? He also implies in his statement that the U.S. Transplant Games are no longer relevant as a tool for raising public awareness about the importance of organ donation. He's wrong. At each of The Games I've attended, the local community was impacted very positively for the cause of organ and tissue donation. In my opinion, Davis' comments show that he is out of touch with reality in regards to organ transplants and that someone else should be the NKF CEO. I hope The Games resume someday. However, I suspect that in order for that to happen some substantial corporate sponsorship(s) will have to be secured. I don't think that's likely to happen anytime soon. Karen Braswell lost her son, Josh, in June 2003 when he was involved in a car crash near the Fowl River in Alabama. Josh was only 23, but he had made a habit of serving others most of his life. In death, he did the same saving five lives because he had made the decision and commitment to being an organ donor. Josh worked as a nurse and had seen the suffering of the terminally ill. It's what led him to tell his parents that if anything ever happened to him, he wanted to be an organ donor. He had seen the need first hand, and it had impacted him. The fact that Josh helped people in need even in his tragic death has helped his parents to heal. In fact, the Braswells have become good friends with Josh's heart recipient. His mother said, "Because of Josh, he was able to see his grandchildren born." In my book, Josh is a hero. There's over 110,000 Americans currently on the waiting list for a life-saving organ transplant. They each need a Josh. If you have not registered to be an organ and tissue donor yet, I want to encourage you to. You can find more information about how to do so in your state by visiting the Donate Life America website (click here). Please do it today. This is the time of year we think about honoring students. We see proud parents and coaches standing behind an outstanding student / athlete who is receiving a scholarship to continue the student’s sports career at a higher level. This is fantastic, and the student has earned the honor that is being received. Question - where are the pictures of students who are receiving academic and service scholarships ? Twice a month, and always once a month, the civic organization I attend honors students for academic achievements. Recently one of the students had to choose between Yale and Washington and Lee. The other student had to choose between Notre Dame, a couple of ivy league schools, and decided on UT (University of Tennessee). There are students from our local high schools that are going to attend multiple colleges on a “full ride.” Many will receive partial scholarships. They will be mentioned at their graduation, but often in a list of students that have received the honor. They will receive a spattering of polite applause while they stand. Do we ever wonder why there is a major problem of motivating our youth to seek academic achievements ? We put pictures in the paper of athletic achievements while students who are competing in world competitions in robotics receive only a passing mention. Students have received national honors with no recognition. We read about the top three students in each class, and that is about it. We push our children in athletics, which is a good thing because goodness knows schools ignore the need for physical exercise, as well as spiritual exercise. Parents push and praise athletics, but not the “wimpy” “geeks” in the art, music, engineering, industrial arts, and other areas. Yet, it is not uncommon for the band, FBLA (Future Business Leaders of America), or FFA (Future Farmers of America) to produce more students with scholarships than all the athletic teams combined. I am not anti-athletics. They are a valuable asset to the school in multiple ways. They work hard and lay it on the line on a regular basis for all to see their mistakes as well as their successes. They deserve recognition. It would just be nice to see academic achievement be promoted as much as athletic achievement. It is ironic that coaches are fantastic promoters of academics. What chance do the teachers have when the man the student admires the most is always talking about sports figures. Little boys are encouraged to play sports at an early age so that they can get a scholarship. If parents put as much effort into promoting academic excellence as they often do sports perhaps the students would get the message. We can not blame the teachers. Teachers need help. It would help them greatly if the students came to them already motivated to learn. Sometimes as a heart recipient, I get caught up in the life-saving aspects of organ donation and inadvertently fail to put the same amount of emphasis on tissue donation. Tissue donation typically improves the quality of life for a patient through bone, ligament, and cornea donations. However, through bone marrow donation it can have the same life-saving impact as organ donation. Thousands of Americans suffer from life-threatening diseases each year in which their only chance for survival is a bone marrow transplant. These diseases include lymphoma and leukemia and finding a matching donor can often be difficult. There is no waiting list for a bone marrow transplant as there is with an organ transplant, and the right match is often found with a donor outside the patient's family. This is where the National Marrow Donor Program and the Be the Match Registry come into play. Currently, over 9 million Americans have registered as bone marrow donors. The registration process is very simple. All you have to do is fill out some paperwork and have the inside of your cheek swabbed, and you're done. From there, you are placed on the national registry based upon your tissue type. Then, if you are a potential match for someone in need of a bone marrow transplant, registry personnel will contact you. If you would like to learn more about registering as a bone marrow donor, please visit the Be the Match / National Marrow Donor Program website by clicking here or by calling 1-800-Marrow2 (1-800-627-7692). It's another way to give back and save lives. Music Monday in "Jet City"
Today is the third week of my Queensryche (pronounced Queens-rike) Music Mondays. The featured song and video is the band's hit "Jet City Woman" from their Empire album of 1990. The video (click here to watch) and lyrics to the song is about the wife, a flight attendant, of the band's lead singer, Geoff Tate. The song tells the story of him missing her while away from Seattle (the "Jet City") on tour. I have two more Music Mondays (the 23rd and 30th) planned for the Queensryche series. As I mentioned a few weeks ago, many of the songs on Empire have a message or theme. The next two Mondays will feature songs that do just that. In the meantime, enjoy this one. Blogger was down for much of yesterday and today. So, I'm combining yesterday's Transplant Thursday post and today's Freedom Friday post to catch up. We'll call it - Transplant Freedom Friday. It'll make perfect sense in a minute, so hang with me and keep reading. Last Sunday was Mother's Day and Julissa Cerda received one of the best, if not the greatest, Mother's Day gift she will ever receive - another Mother's Day with her 16-month old daughter, Delilah. Delilah finally went home from Jackson Memorial Hospital in Miami, FL after after receiving seven organ transplants, including stomach, pancreas, liver, large and small bowel, spleen and kidney, back in January. The little girl was born with Megacystis Microcolon Intestinal Hypoperistalsis Syndrome (MMIHS). The condition affects the smooth muscle in the digestive system and does not allow the kidneys, bladder, intestines, and stomach to work properly. In fact, Delilah couldn't eat on her own due to the disease. Since her transplants, Delilah has put on eight pounds eating whatever she wants. The miracle of transplantation has given Delilah freedom from a horrible disease and the freedom to be a normal little girl. Her mother has freedom from worry and an opportunity to see Delilah grow up. I can't think of a better Mother's Day Gift than that or better freedoms to celebrate. Can you ? Time for NASCAR to do something about it's "problem child"
I've been a NASCAR fan for over 30 years. I've seen drivers yell at each other and cuss each other. I've watched them push and shove each other both on and off the track and watched them get in fights on occasion. Sometimes such goings on are the best part of the race. Most of the time you can chalk it up to simply "boys being boys." However, at the conclusion of this past Saturday night's NASCAR Southern 500 race from Darlington, SC, Kyle "Whiny" Busch did something I've never seen before and put people's lives in jeopardy in the process. Image by Paula Fisher via WikipediaOn lap 365 of the 367 lap race (watch video here), Busch, Kevin Harvick, and Clint Bowyer got together with Bowyer losing control and his car crashing into the inside retaining wall. Busch was upset with Harvick (pictured top right) due to some bumping the two of them had been involved with prior to this incident. So, he turned dead left into Harvick, spun him out of control, and wrecked several other cars in the process. Harvick then proceeded to express his displeasure with Busch by stopping his car in front of Busch's on pit road. Harvick walks back to Busch's car and attempts to punch him which is kinda fruitless considering Busch has a helmet on. It the meantime, several of Harvick's crew members and a NASCAR official are walking down pit road to "the incident" when Busch pushes Harvick's car out of the way with his car. Harvick's car careens dangerously out of control into the pit road wall. Fortunately, none of the people walking down pit road were hit by Harvick's unmanned car, but they could have been. Image by Pam J. via WikipediaI'll admit I am no fan of Kyle "Whiny" Busch (pictured lower right). I've written other articles (click here, click here, and click here to read them) critical of him. I've wondered how Dale Earnhardt would have dealt with him. Would he have "rattled his cage" as he did Terry Labonte ? I think the answer is a resounding "yes." I guess the person that has most surprised me in regards to Busch's continued bad behavior has been his car owner, Joe Gibbs. At one time, I was a Washington Redskins fan, and Gibbs was their head coach during the time they won three Super Bowls. Gibbs always ran a tight ship and would not have tolerated Busch-like behavior out of one of his players. So far, he has never done anything in regards to disciplining Kyle Busch. I can't help but wonder if all the money Toyota and others have poured into Gibbs Racing has caused him to turn a blind eye. Yesterday, NASCAR fined both Busch and Harvick $25,000 and placed them both on probation until June due to the incident. Harvick probably could have handled the situation with Busch differently Saturday. For instance, he could have waited and "had a chat with him" in the garage area after both of them were out of their cars like they used to in "the ol' days." Or, he could have waited and put Busch's car into the wall next week at Dover. In my opinion, the whole incident could be chalked up to "boys being boys" until Busch chose to use his car as a weapon. Then, he crossed the line and it was inexcusable. He put people in harms way which could have led to someone being severely injured or even killed. It's time NASCAR or Gibbs Racing put the hammer down on Busch. He needs to be suspended for several races or maybe even for the rest of the year. Such action would lead to Busch's sponsors getting involved because they pay him millions of dollars each year to drive that car and would not be happy if he wasn't doing so. They might even strip their sponsorship from him. NASCAR's fine and probation was just a slap on the wrist. It was like giving a speeding ticket to someone who's been busted for drunk driving for the tenth time. It has no teeth. What is it gonna take for NASCAR to say enough is enough in regards to Busch's antics. Is it gonna take him seriously injuring himself, another driver, a crew member, or a fan ? I hope not. NASCAR needs to do something and do it now before it's too late. Image by fcb981 via WikipediaWe very seldom see elected officials doing anything positive anymore. They're normally too busy playing politics and seeking campaign donations in order to get re-elected. Most of them have forgotten what the term "public servant" actually means. Today's story, however, is about one public official who is trying to make a difference in a positive way - he's trying to save lives. Last month, as part of Donate Life Month, Donate Life New England held Donate Life Day at the Massachusetts State Capitol. At the event, Massachusetts State Representative George Ross and several of his fellow representatives registered as organ donors. They were surprised to learn of the large number of their state's residents that need organ transplants. Rep. Ross said that he decided to become an organ donor because, "... I could possibly be instrumental in saving someone's life." He encouraged others to register, too. I'm wondering if we can find a few more "public servants" like Rep. Ross out there somewhere. 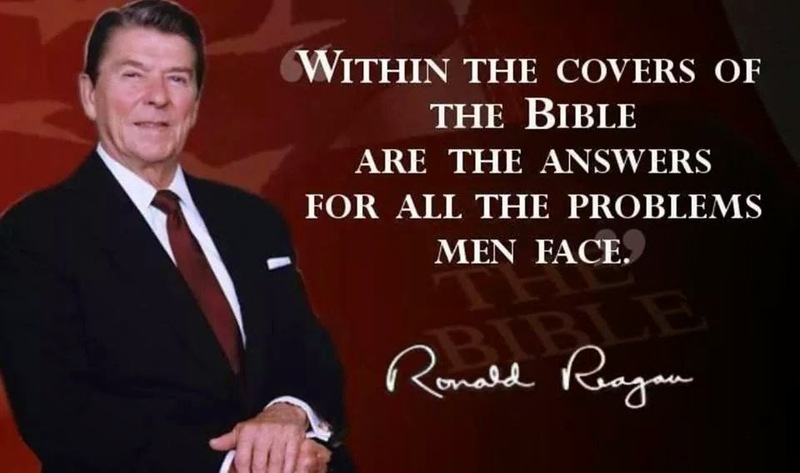 This country could sure use a few more like him. Last week, I begin a special series of Music Mondays in May focusing on the band Queensryche (pronounced Queens-rike) and their 1990 album Empire. Today's video is from the album's title track - "Empire" (watch it by clicking here). I also shared that several of the songs on the album contain a message / theme and today's song is one of them. "Empire" discusses the illegal drug trade in the U.S. focusing on the gang violence associated with it, it's destructive effects upon our youth, and the empires that the drug traffickers are building. The song is a little dark, but it may be one of Queensryche's most artistic works whose message is very simple - illegal drugs destroy and more needs to be done to stop the unnecessary destruction. Enjoy. Have we made a difference ? The following was passed along via e-mail by a friend, and I felt it was worth sharing. Please take the time to read it. It's a great story that gives us all something to think about. It should make us all to stop and ask - "Am I making, or have I made, a difference in someone else's life ?" Carl did. Image via Alvesgaspar on WikipediaCarl was a quiet man. He didn't talk much. He would always greet you with a big smile and a firm handshake. Even after living in our neighborhood for over 50 years, no one could really say they knew him very well. Before his retirement, he took the bus to work each morning. The lone sight of him walking down the street often worried us. He had a slight limp from a bullet wound received in WWII. Watching him, we worried that although he had survived WWII, he may not make it through our changing uptown neighborhood with its ever-increasing random violence, gangs, and drug activity. He was just finishing his watering for the day when three gang members approached him. Ignoring their attempt to intimidate him, he simply asked, "Would you like a drink from the hose?" The tallest and toughest-looking of the three said, "Yeah, sure," with a malevolent little smile. As Carl offered the hose to him, the other two grabbed Carl's arm, throwing him down. As the hose snaked crazily over the ground, dousing everything in its way, Carl's assailants stole his retirement watch and his wallet, and then fled. Carl tried to get himself up, but he had been thrown down on his bad leg. He lay there trying to gather himself as the minister came running to help him. Although the minister had witnessed the attack from his window, he couldn't get there fast enough to stop it. "Carl, are you okay ? Are you hurt ?" the minister kept asking as he helped Carl to his feet. Carl just passed a hand over his brow and sighed, shaking his head. "Just some punk kids. I hope they'll wise-up someday." His wet clothes clung to his slight frame as he bent to pick up the hose. He adjusted the nozzle again and started to water. Confused and a little concerned, the minister asked, "Carl, what are you doing?" "I've got to finish my watering. It's been very dry lately," came the calm reply. Satisfying himself that Carl really was all right, the minister could only marvel. Carl was a man from a different time and place. A few weeks later the three returned. Just as before their threat was unchallenged. Carl again offered them a drink from his hose. This time they didn't rob him. They wrenched the hose from his hand and drenched him head to foot in the icy water. When they had finished their humiliation of him, they sauntered off down the street, throwing catcalls and curses, falling over one another laughing at the hilarity of what they had just done. Carl just watched them. Then, he turned toward the warmth giving sun, picked up his hose, and went on with his watering. The summer was quickly fading into fall. Carl was doing some tilling when he was startled by the sudden approach of someone behind him. He stumbled and fell into some evergreen branches. As he struggled to regain his footing, he turned to see the tall leader of his summer tormentors reaching down for him. He braced himself for the expected attack. "Don't worry old man, I'm not gonna hurt you this time." The young man spoke softly, still offering the tattooed and scarred hand to Carl. As he helped Carl get up, the man pulled a crumpled bag from his pocket and handed it to Carl. "What's this? ", Carl asked. "It's your stuff," the man explained. "It's your stuff back. Even the money in your wallet" "I don't understand," Carl said. "Why would you help me now?" The man shifted his feet, seeming embarrassed and ill at ease. "I learned something from you," he said. "I ran with that gang and hurt people like you. We picked you because you were old and we knew we could do it. But every time we came and did something to you, instead of yelling and fighting back, you tried to give us a drink. You didn't hate us for hating you. You kept showing love against our hate." He stopped for a moment. "I couldn't sleep after we stole your stuff, so here it is back." He paused for another awkward moment, not knowing what more there was to say. "That bag's my way of saying thanks for straightening me out, I guess." And with that, he walked off down the street. Carl looked down at the sack in his hands and gingerly opened it. He took out his retirement watch and put it back on his wrist. Opening his wallet, he checked for his wedding photo. He gazed for a moment at the young bride that still smiled back at him from all those years ago. Carl died one cold day after Christmas that winter. Many people attended his funeral in spite of the weather. In particular the minister noticed a tall young man that he didn't know sitting quietly in a distant corner of the church. The minister spoke of Carl's garden as a lesson in life. In a voice made thick with unshed tears, he said, "Do your best and make your garden as beautiful as you can. We will never forget Carl and his garden." Image via Rmrfstar on WikipediaThe following spring another flyer went up. It read: "Person needed to care for Carl's garden." The flyer went unnoticed by the busy parishioners until one day when a knock was heard at the minister's office door. Opening the door, the minister saw a pair of scarred and tattooed hands holding the flyer. "I believe this is my job, if you'll have me," the young man said. The minister recognized him as the same young man who had returned the stolen watch and wallet to Carl. He knew that Carl's kindness had turned this man's life around. As the minister handed him the keys to the garden shed, he said, "Yes, go take care of Carl's garden and honor him." The man went to work and, over the next several years, he tended the flowers and vegetables just as Carl had done. During that time, he went to college, got married, and became a prominent member of the community. But he never forgot his promise to Carl's memory and kept the garden as beautiful as he thought Carl would have kept it. One day he approached the new minister and told him that he couldn't care for the garden any longer. He explained with a shy and happy smile, "My wife just had a baby boy last night, and she's bringing him home on Saturday." "Well, congratulations!" said the minister, as he was handed the garden shed keys. "That's wonderful! What's the baby's name?" Horse racing and soccer are two sports I don't usually follow. It's not because I don't like them or have something against them. They've just never really been on my "radar." I'm more into auto racing and football. However, Saturday's running of The 137th Kentucky Derby has the potential to be something special. It's one horse race I will have to watch. Kathy Ritvo is the trainer of one of the horses that will compete in The Derby on Saturday. The horse's name is Mucho Macho Man (sounds like a good name for a pro wrestler or rap artist). Ritvo is fortunate to be alive to see her horse compete in The Derby. She underwent a heart transplant back in November 2008 after battling cardiomyopathy for years. She made it known before her transplant that she couldn't wait to get back to the track. Now, she has her chance. Kathy will be the first to tell you that this Derby is more than just a horse race. She is hoping that all the media coverage surrounding her and her story will shed a positive light on organ donation. Her hope is that people will be encouraged to register as organ donors and that people presently waiting on transplants will be uplifted and encouraged. Kathy has invited her cardiologist to attend The Derby. In addition to him, there will be millions of others watching and pulling for Mucho Macho Man. The race is scheduled to start at 6:24 PM EDT and will be broadcast live on NBC. The question is - will Mucho Macho Man be "The Man ?" We will find out Saturday.